About Mike Stapleton Lease Extension and Enfranchisement in London | Mike Stapleton & Co. 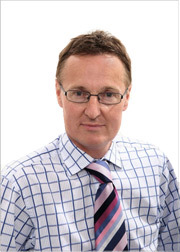 I formed Mike Stapleton & Company in 2006 with a view to creating a small niche practice, dedicated to providing valuation and legal advice to the leasehold enfranchisement sector. Over the years I have encountered just about every possible scenario in the field of enfranchisement. I have experience of dealing with settlements from a few thousand pounds to several hundreds of thousands of pounds. I have represented clients in the Leasehold Valuation Tribunal on numerous occasions and am therefore well versed with the production of civil procedure rules compliant expert witness reports and have the necessary advocacy skills to present complicated cases. Our client base is mainly made up of leaseholder clients although we are retained by a number of landlord’s both big and small to deal with enfranchisement matters. Our ethos is straightforward; we aim to provide a professional, yet friendly service and to offer all of our client’s value for money. Please do read our client testimonial pages to see what our customers think. Outside of work I have a young family to keep me occupied. My other interests include athletics (I am a keen runner), football and skiing. I also have a strong interest in aviation. I hold a commercial pilot’s licence and am a former flying instructor.